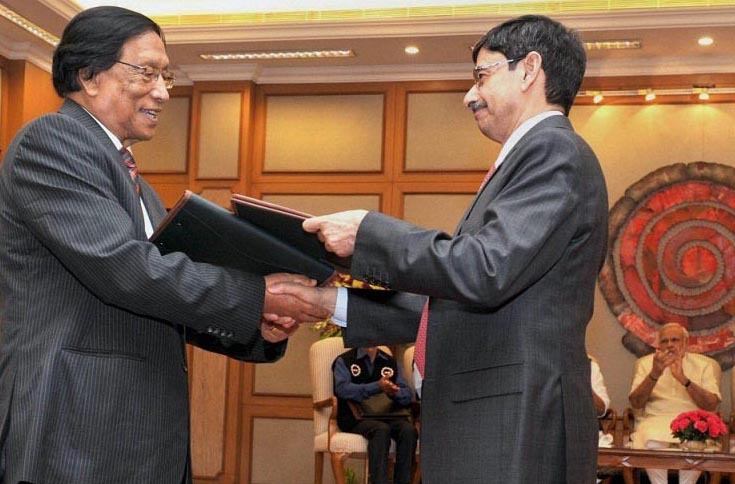 The NSCN-IM has said that the framework agreement signed between the outfit and the union government on August 3, 2015, was on the basis of shared sovereignty for peaceful co-existence. The NSCN came out with the clarification on Sunday in the wake of reports that the outfit has given up the demands for sovereignty and redrawing of boundary, Indian Express reported. “The fundamental principles of the two relationships that fully respect the aspiration and legitimate rights of the Nagas and recognition of their unique history and situations and committed to a peaceful co-existence in an inseparably inclusive relationship sharing sovereign powers is the basis of the 3rd August 2015 Indo-Naga Framework Agreement,” the outfit said in a statement. The framework agreement which guarantees to safeguard the future of the Nagas also mutually benefitting both the entities, in return, for it will solve the chronic problem of India, which is her security in the eastern frontier, the NSCN asserted. It contended that the adversaries are portraying confusion through print and other social media that loyalty and national aspiration vanished into thin air despite the repeated clarifications on the issue of the Naga sovereignty and integration. The NSCN had at no point of time in the negotiation with the GoI all these years softened its stand on the Naga history, identity and inherent rights of all the Nagas, it said. The question of ceding into Indian federation is nothing but a desperate attempt to deceive the people so that the Nagas’ cry for justice is reduced to barrenness, it said adding that it appealed to the Nagas not to pay any heed to the rampant propaganda. “The Nagas will never surrender their rights. The Naga National Movement spearheaded by the NSCN is a people’s movement”, the NSCN opined. The vested interest within and outside will not understand the sweat, blood and tears which the peace-loving Nagas has shed and sacrificed all these years just to live in dignity deserving of indigenous people’s rights to decide their own future, it said. The NSCN reiterated that the “uniqueness of Naga history” is an unparallel account to any other merged state(s) which has continued resistance to colonialism since the British rule, where each Naga villages since time immemorial lived a democratic republic and exercise their sovereignty. Claiming that unlike other Maharajas or kingdoms, no Naga chief ever assented to join the Indian federal union, it maintained that Nagas’ right for self-determination is a derivative of biological, cultural, historical and political. The outfit cautioned that it is prepared to go to any length against those trying to sabotage the ongoing Indo-Naga peace process maintaining that no one has the right to dictate the fate of others for their own convenience.